Reason #1 for not blogging: Work. And lots of it lately. 18 days in a row just ended. I used to have the greatest job in the world. My days were filled with creative challenges and writing. The key word is “creative.” Then the recession came and the first to go were the administrative assistants for the department. But the work didn’t leave with them. It flowed to the rest of us and we started wearing two hats, and in the process my job went from creative work to administrative chores. And, as the admin work has stayed with us and increased, my need for a creative outlet moved to other areas – like woodworking and upcycling furniture. I’m getting better at woodworking. The number of mistakes I make during a project is going down. For the door in the picture, I used bird’s-eye maple and walnut on this door and finished with 7 coats of Waterlox Tung oil. I started with raw pieces of wood and cut and sanded it all myself. I learned a lot of lessons in the process but I’m happy overall with how it turned out. 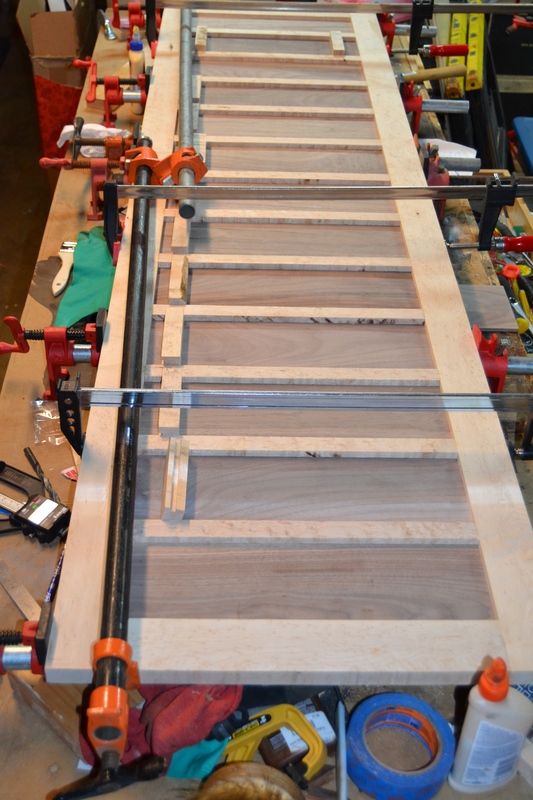 You can never, I repeat, never, have enough clamps in life. Found a Fox door handle. I miss Fox. Who knows, perhaps he’ll return one day. I saved a $85 pine coffee table I found on Craigslist. It was in bad shape, legs falling off and cracked legs, a purple flower painted on it, and a nasty painted finished. I stripped it, fixed each leg with pocket holes and wood glue, and used a homemade vinegar/steel wool stain to give it an antique look. I applied three coats of Briwax and now I have a very sturdy coffee table that my 12-year-old daughter can beat to hell and I don’t have to worry about. More clamps. 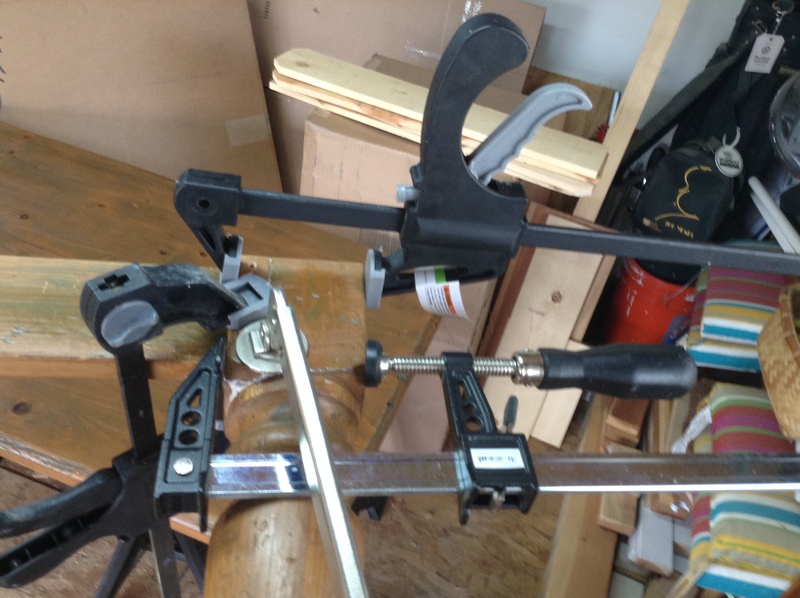 It took at least this number of clamps to fix each leg. Sometimes more. It was puzzle-like. I used my apple-cider vinegar steel wool mix again. Half is finished and waxed here. 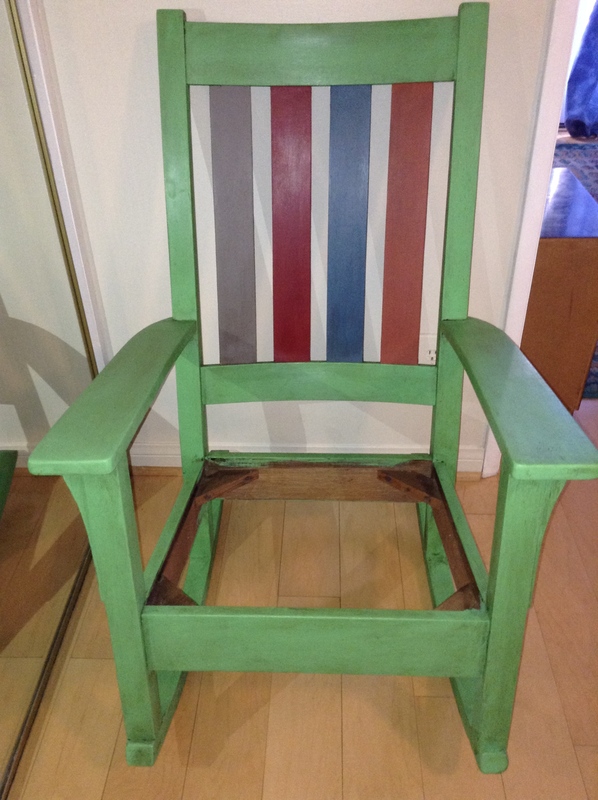 I found a rocking chair at a local consignment shop for 200 bucks. It’s solid tiger oak, which is one of my least favorite woods. So I did some light sanding of the peeling varnish and used Chalk Paint and dark wax to age and bring it back to life. I was going to sell it but I ended up giving it to my sister-in-law because she liked it and I think it’s cool that she’d put it in her house. Let’s keep it in the family. 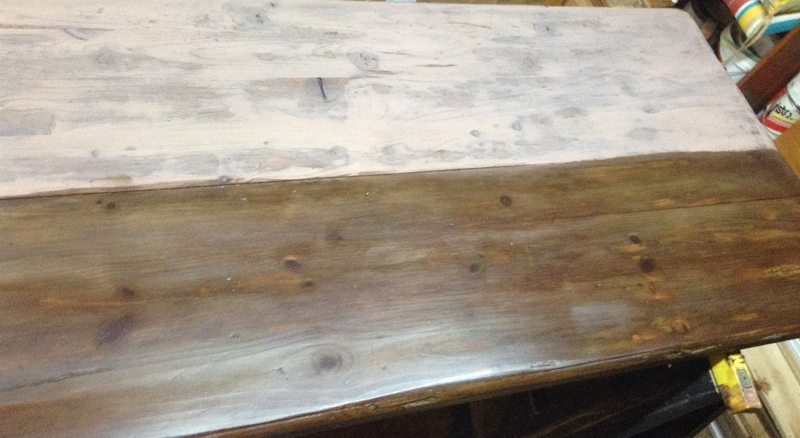 This is the “before” shot after I sanded off all of the peeling 1960s varnish. Making the world more colorful and saving furniture one piece at a time. 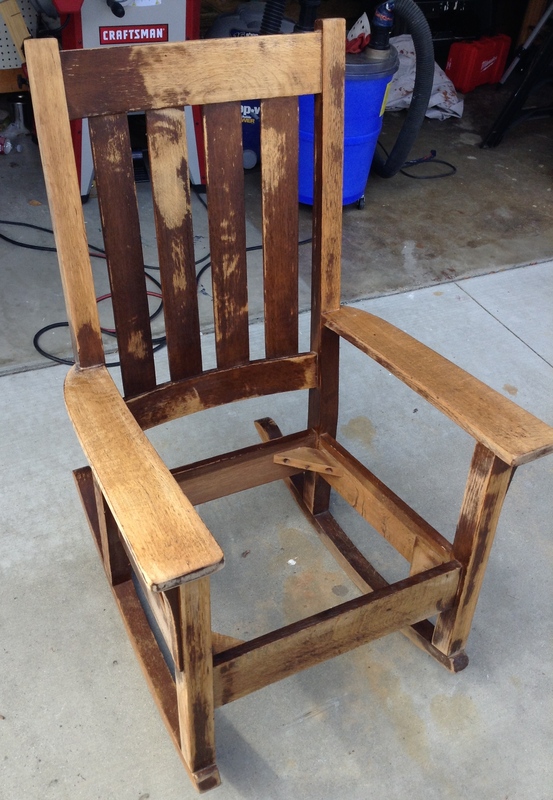 This entry was posted in cystic fibrosis, Refinishing furniture, Woodworking and tagged chalk paint, Fun, Furniture, woodworking by unknowncystic. Bookmark the permalink. It’s so great to hear from you again! Those projects are incredible. I’m very impressed! I’m really sorry to hear about work, though. I hope something improves. Thanks for the motivating words. I appreciate it. The door was quite a project. Work will improve. I was never able to crack the code of being my own boss. That would have been best. I agree with Margie’s comment above and also very impressed with the hard work you’ve escaped to. After 18 straight days of work, I’m sure you’re ready for a break. I bet you’re really appreciated though they may not show it often. Take care of yourself and don’t drop any of those toe finding clamps!! You are correct. I believe I’m appreciated and have done very well at the company. You know how sensitive I am about time and not wasting it. And I want to grow and have challenges. Building PPTs isn’t what I’d call satisfying work. Or budgets for projects. I’ve had to use Excel more this year than my previous 14+. I’m just full of complaining today. I shouldn’t be, but I strive to make the work rewarding, which I realize it can’t be all the time. I’ve been ultra-careful since breaking my toe. You should see me on my new table saw. I work in slow motion to make sure I don’t lose any fingers. Time for another one of your rain dances. Yes, the stain smells bother me. I wear a very good mask, not the disposable kind like at clinic. It was around 40 bucks or so and filters out dust AND odors, which is a nice bonus. You should try it. It’s a P100 rated mask for organic odors. You still should use it only with plenty of fresh air because the mask does have its limits, but it works for me, especially with Waterlox, which smells terrible. I don’t notice it in the mask. Also, if the smell of paint bothers you, you should try Chalk Paint. It’s low VOC and has almost no smell to it. The wax does smell, but use the mask. I can use chalk paint with no mask. And I bet there are some other low VOC paints you could find. I like the activity of doing all of this stuff. I can’t run on my treadmill so it’s a nice way to keep moving and use muscles other than my legs. 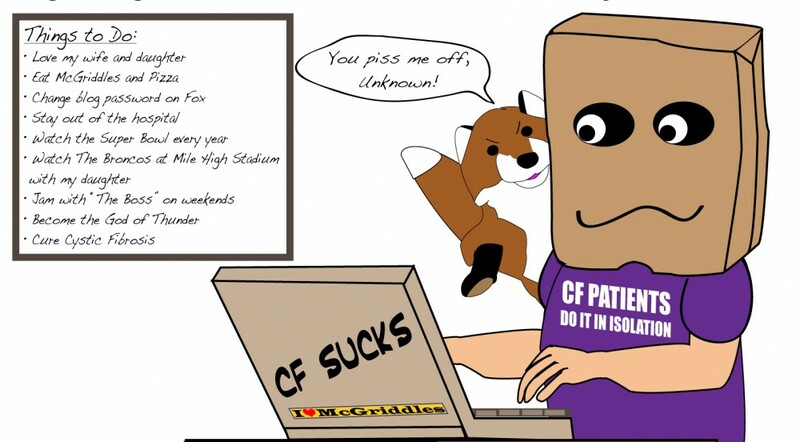 No comment on the CF. I don’t want to wake it up.